With Black Friday just around the corner, your iPhone (s aapl) might be your greatest weapon for getting the best deals around. Just download these apps, be sure you have a good case for your phone, and remember not to literally crash through doors, regardless of what retailer marketing says they’d like you to do. If you want the virtual experience of looking through those fun newspaper inserts with lots of pictures and happy models wearing ugly sweaters, then this app is for you. Plain and simple collection of ads that aren’t searchable, saveable or sharable. But despite limited features, as someone who enjoys marketing, I genuinely loved looking through the national ads with this app, in their full print glory. 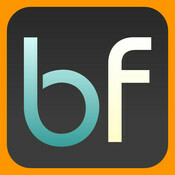 This app is put out by the very reputable and addictive Dealnews site. 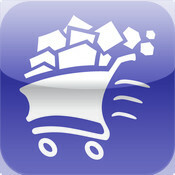 This app is a great tool for searching for a particular product or product category. Need an external hard drive? Search for it, find the best deal and then click on the item to find out when the store offering that deal opens, whether you can buy it online and how long it’s on sale. You can also save the deal to a list, or share it with others via social media. This is a great browsing app for seeing what’s out there and remembering where to go. For each deal it has a list of the store limits for items and limits per customer, letting you know how early to get online for them (for some, you’d better be reading this while in line!). Logical and easy to use. While not specifically a Black Friday app, ShopSavvy is the definitive guide to finding the best deals online and off. 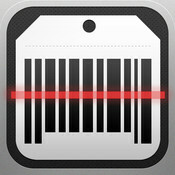 Scan a barcode on an item or simply search for it, and the app will check online prices as well as local stores. It can even tell you if an item is in stock. If you miss that “1 item per store” deal, this app will help you find the next best price. The interface is slick. You can create lists of items you found and sync them with DropBox or export them for later use. If you see something you want someone to buy for you while shopping for others, this app will help you drop some hints while saving you money on your own purchases. You can also quickly create lists of potential gifts for others. So many Black Friday sales are percent-off deals requiring you to do some fancy calculations every time you want to know what the price is. One or two deals is fine, but doing mental math for a long list can be very taxing. 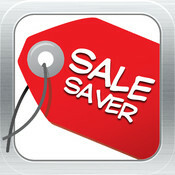 Sale Saver quickly figures out the sale price based on the listed price and percent off. Plus, it figures sales tax. A quick cheat sheet in the app is included to quickly calculate deals that are a standard percent off of everything in a store or section. Put in 20% and it calculates the price of products ending in .49 cents and .99 cents, since nobody ever prices their products in round numbers. 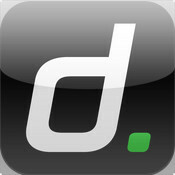 Decide.com is a technology-focused price predicting engine. It analyzes pricing trends for popular products and tells you whether to wait on purchasing or go ahead and buy. Using a bar code scanner or through basic searches and browsing, the app will look at the price of the item within the past two weeks to determine if its recent price trend. Think of it as a stock predictor for electronics pricing. Once you decide it’s time to buy, it will compare prices locally and online to help you get the absolute best price. To track all those purchases and to make sure you’ve got something for everyone on the list without duplicates, mGifts helps you organize your purchases. Can you get your entire list done in one day? mGifts will make it possible to stay organized enough, but unfortunately won’t help you pay for anything. 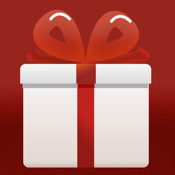 mGifts isn’t exclusively holiday, related so you can use it all year for birthdays and anniversaries. A true Black Friday warrior is as interested in buying things for themselves as turning a little profit by reselling the incredible deals they get. 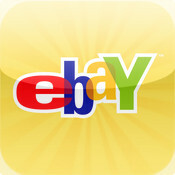 The eBay (s ebay) app makes it easy to scan a barcode and see what an item is selling for. This is also helpful for selling the stuff you already have around the house to pay for your Black Friday overindulgence. Finally, don’t forget individual store apps. These are always free. The Amazon Price Check (s amzn) app will search all of Amazon and stores that sell via Amazon. National retailers such as Target (s tgt) and Walmart (s wmt) have individual apps to help you find the best deals, and some even offer coupons, so it’s a good idea to have the app for the store where you’re shopping. Even some national mall chains have apps, and it can’t hurt to have them since they’re always free. Now you’re armed with a quiver of apps to get the best deals of 2011 while keeping your sanity, though waiting in line still might drive you batty. Happy hunting. Disclosure: mGifts provided a promo code for their app for review purposes, which is about as close to a Black Friday deal as this writer will get this holiday season. Use a site like Ebuyersedge.com to set up saved searches. You get an e-mail whenever a matching item is newly listed. Especially good for “Buy It Now”s that are priced right. Try a misspelling search using a site like Typojoe.com to hopefully find some great deals with items that have main key words misspelled in the title. Other interested buyers might not ever see them. If you see an auction that you want to bid on, use a sniping service such as Bidball.com to place your bid for you. It’ll bid in the last few seconds, helping you to save money and avoid shill bidding. Everyone can make cool apps using snappii. Snappii is a platform for making iPhone, iPad and Android apps! Great information – thanks for researching and posting!